LOS ANGELES, Calif. /California Newswire/ — Cal Net Technology Group has announced that Founder & CEO Zack Schuler will serve on the board with Young Ambassadors for Opportunity (YAO) Chair Liesel Pritzker to raise awareness for the organization in order to increase the involvement of young, visionary entrepreneurs. YAO, an initiative of Opportunity International, is geared towards engaging young visionaries through its educational programs, fundraising efforts, and networking events, all of which serve to raise awareness and funds for YAO’s initial project of capitalizing a bank in Tanzania. “I’ve been approached by hundreds of organizations asking for donations, company gift matching programs, and my personal time, but YAO was a standout because of its empowering, business-like approach to the poverty epidemic,” remarked Schuler. * Educate Cal Net’s employees about YAO. Founded in 1995, Cal Net Technology Group provides Southern California’s businesses with technology solutions expertise ranging from outsourced I.T. services to ongoing support and consultation. Their signature service, TECManage, is designed to provide a cost-effective option for companies who need the services of full-time I.T. personnel. 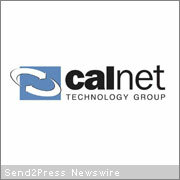 More information: www.CalNetTech.com. Young Ambassadors for Opportunity (YAO) is committed to strengthening impoverished communities through the power of microfinance and the work of Opportunity International. The organization is comprised of a visionary, new generation of globally minded young people — emerging leaders who are joining forces to eradicate poverty around the world.